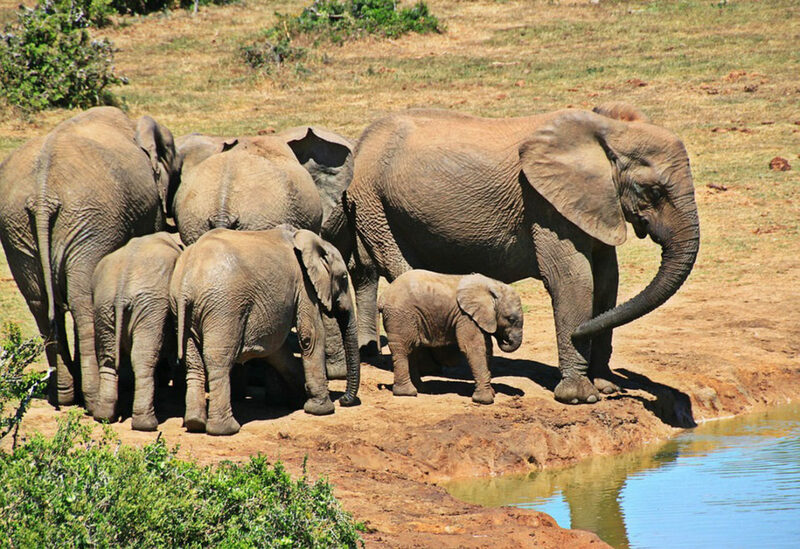 Enjoy the ultimate walking safari experience in South Africa’s most renowned wildlife destination, the Kruger National Park and neighbouring private game reserves. There is no better way to immerse yourself in this natural kingdom than setting foot amongst the magnificent flora and fauna that call the Kruger home. It will fill you with a deep sense of knowing that this how it ought to be – man and the environment in reverent, unspoiled harmony. Follow the pathways of the Big Five (lion, leopard, elephant, buffalo and rhino), as well as lesser seen creatures for exceptional photo opportunities and extraordinary memories. 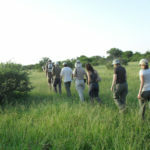 Grant yourself the escape of a lifetime and walk in the wild on one of our Greater Kruger Walking Safaris. All personal expenses including drinks, tips and curios. On arrival at OR Tambo International Airport, please proceed to the bus terminal building where a shuttle driver will meet you for departure at 06h45. 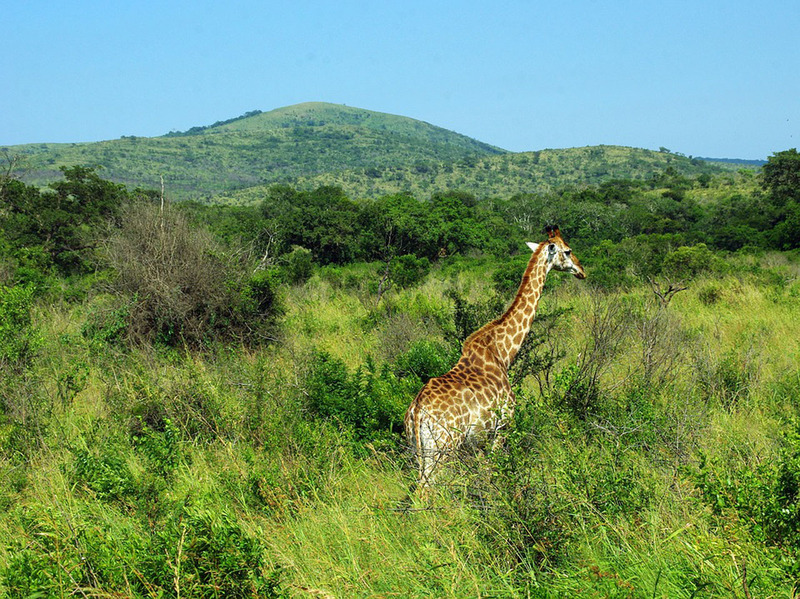 The journey to the Greater Kruger Reserve takes approximately six hours. Two comfort stops en-route allow you to stretch your legs and purchase refreshments. 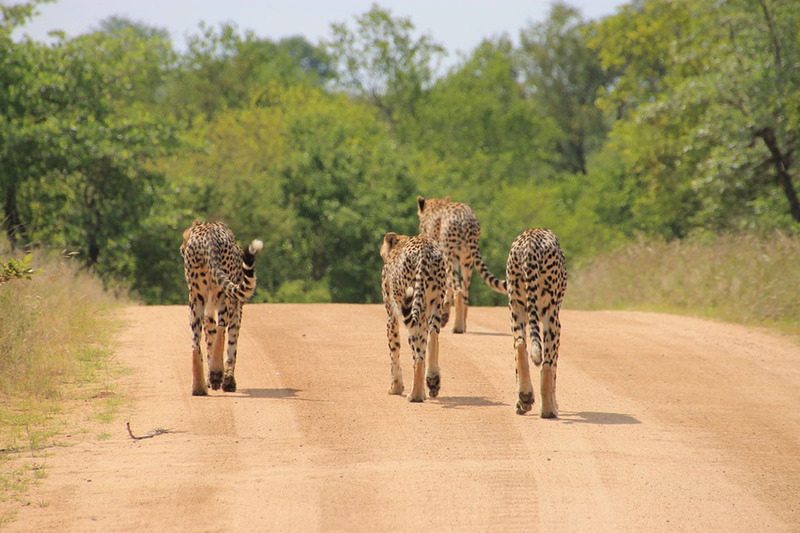 After collection at the shuttle drop off point at the Timbavati Gate, you will proceed to the unfenced safari camp where your ranger will explain the rest of the day’s activities. 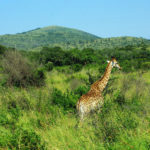 Guests can expect to see the full Big Five in the area, which are regularly sighted. 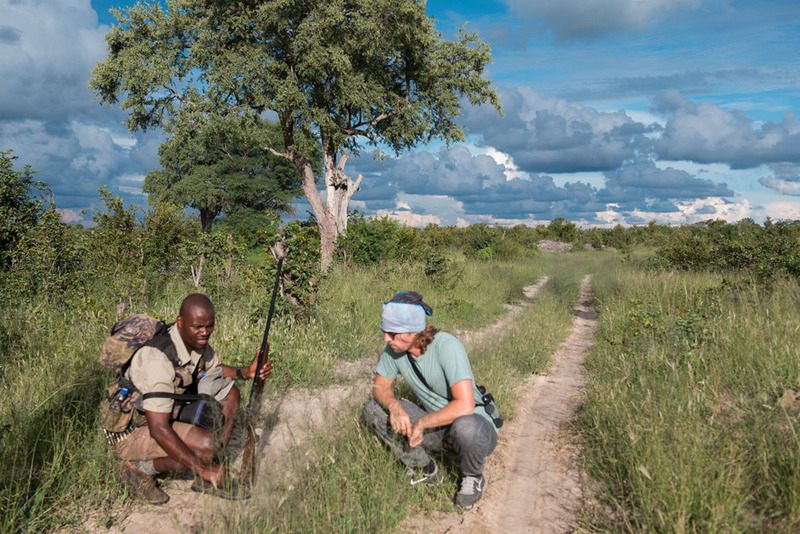 One of the unique advantages of a small safari camp is that the activities can be tailored to your specific needs. Generally days will start with an early morning wakeup call followed by coffee and a light breakfast, before heading out on an invigorating morning game walk. 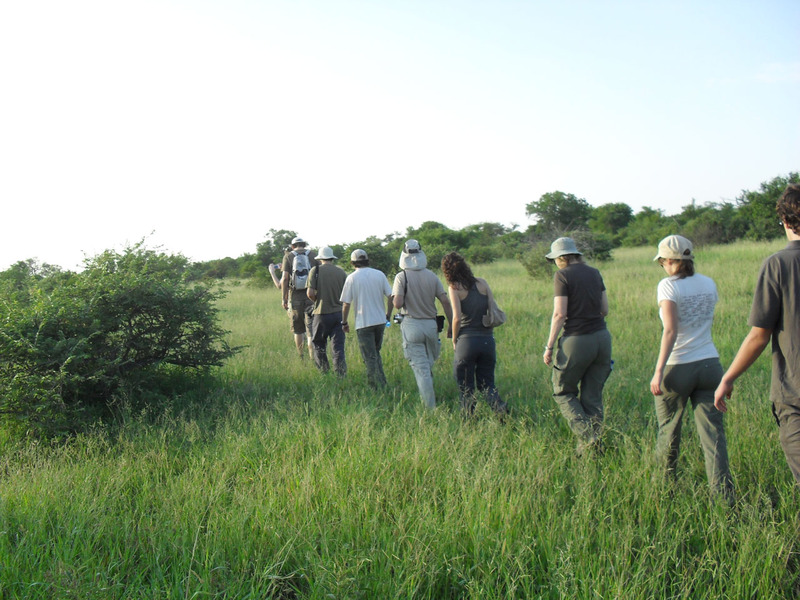 Learn from highly qualified and experienced field guides regarding the significance of various plant species, how the landscape is interpreted and animals are tracked in the bush. After 3 to 4 hours, we return to camp for a delightful brunch and well-deserved respite. Spend some hours at leisure appreciating the comforts of camp life before afternoon tea and a light lunch. 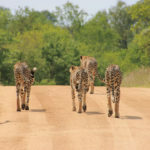 As the day cools we embark on an afternoon game drive easing into the evening – the perfect time to view the bush transitioning as wildlife motion from the shade and their heat induced lethargy. Returning to camp, we share the day’s experiences over dinner, finishing off with tea/coffee around the crackling camp fire. The perfect end to a memorable day! 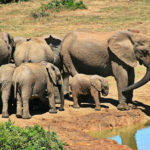 On the day of departure you will go out for one last morning walk or game drive. Breathing in the distinctive scents of the bush you’ll realize how much you’ve learned already! After breakfast it’s time to pack up, say our goodbyes and transfer you back to the city.